Mix the tomatoes, Mostbröckli and crème fraîche, season. Combine the mustard, oil and vinegar in a bowl. Add the cucumber, mix and season. 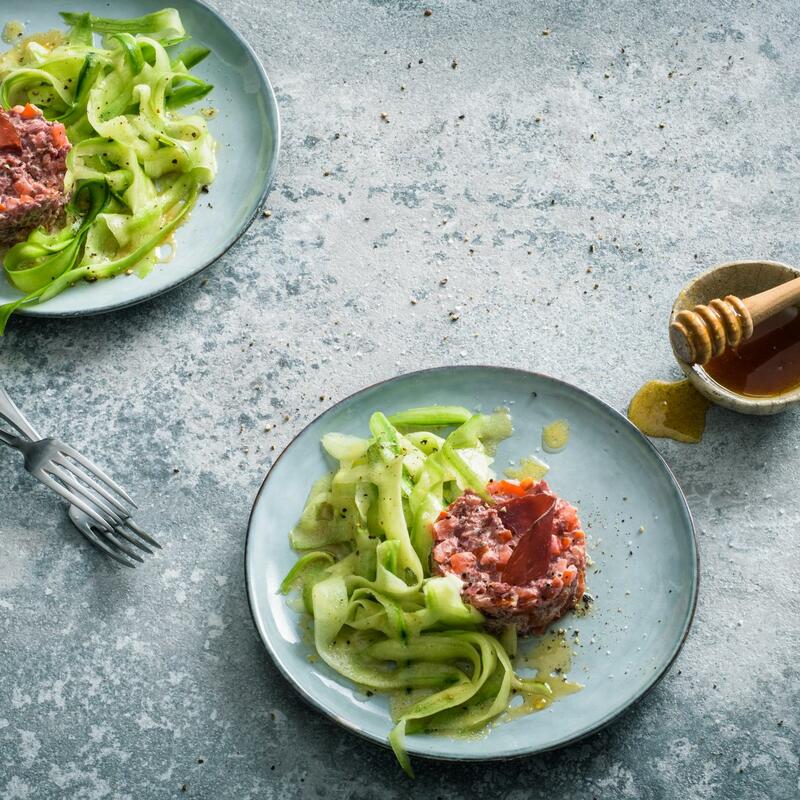 Serve the salad with the tartare, drizzle with honey prior to serving.